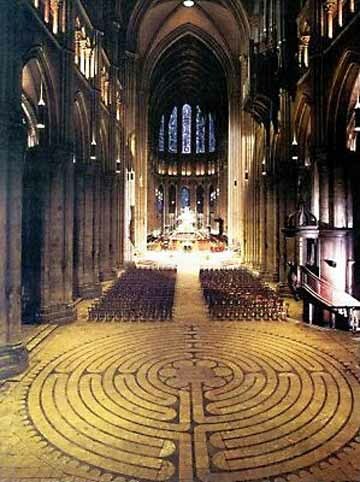 Labyrinth in Chartres Cathedral (circa. 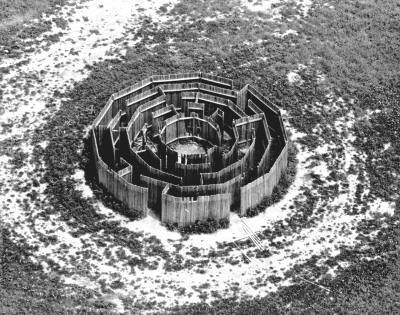 1200 AD), design based off Celtic labyrinth or "Chakravyuh." Lucio Fontana, untitled installation (?) (1968) (image not available): Fontana was most well-known for his paintings that slashed holes through the canvas surface, but he also created room-sized environments that expressed his obsession with the mysteries of a pure space beyond the confines of the canvas. 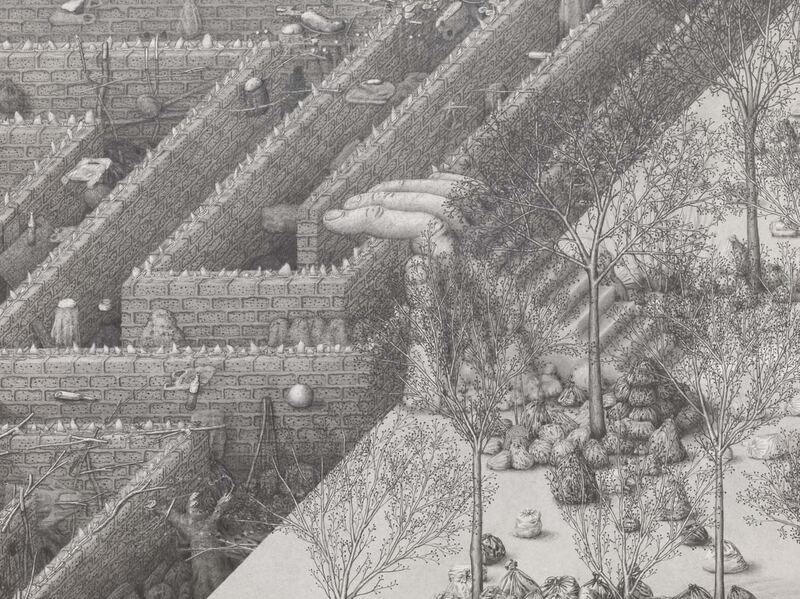 In 1968, he created an installation for Documenta IV in Kassel, Germany consisting of an entirely white labyrinth, with angular edges and narrow walkways, including ceiling and floor, which surrounds a large plaster cut.